“I have had an amazing life,” Sister Patricia Hauser says, although her entry into religious life was a reluctant one. “I said, ‘Don’t touch my stuff! I may back in two weeks.’” Since then, she has enjoyed a bevy of jobs and life in interesting places like California, Alaska, India, England, and even tiny Forks, Washington. Pat was born in Madison, Wisconsin, and moved to Bellingham, Washington, at age 10. Her family became the first foster home in Bellingham, caring for 116 children of all ages. Pat was able to live at home and help out, work part time and attend Western Washington College (now University). Handouts her mother brought home from a conference introduced her to the Sisters of Providence. After graduating with a degree in sociology/anthropology and a minor in psychology, she entered the novitiate in 1957. She professed first vows, finished her teaching courses in the College of Sister Formation, and taught for six years in Seattle and Vancouver, Washington, and in Sun Valley, California. She then earned a master’s degree in social work at the University of Washington, was an intern at the state welfare program in Spokane, and volunteered at a drop-in center on Seattle’s Skid Road. She was on the community’s first Formation Team for five years and then did counseling and supervision of foster homes for Catholic Charities. Subcontracted to Sundown M Ranch treatment center, she first worked with alcoholics and later returned there as a part-time chaplain. That was followed by alcoholism education and outreach for the Diocese of Juneau, Alaska, where she spent a winter in a Native village. Next, Sister Patricia became director of the sisters’ Sojourner Place ministry for homeless single women in Seattle, and then was a psychotherapist for eight years at the House of Affirmation in-patient treatment center for clergy and women religious in Montara, California. After a year at an affiliated program, Heronbrook House, in England, she returned to Montara as assistant director and psychotherapist. The intensity of her next ministry, to individuals with HIV/AIDS and to the disabled at Providence House in Oakland, California, led her to seek a time of solitude and contemplative prayer. She spent six months in India, traveling and living in ashrams, and then sought the quiet of Forks, Washington. 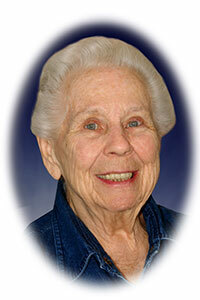 A year later she was a part-time patient visitor and an on-call chaplain for a hospice program. A year ago she moved to St. Joseph Residence in Seattle because of health-related issues. She visits with older sisters and hopes to volunteer at Providence Mount St. Vincent, maybe with an Alcoholic Anonymous group. “I have had an amazing life,” Sister Patricia Hauser says, although her entry into religious life was a reluctant one.